It’s been a long time between visits. It was 1967 when I came with my wife and two sons, ages four and six, to work for one year for the Food and Agricultural Organization of the United Nations. 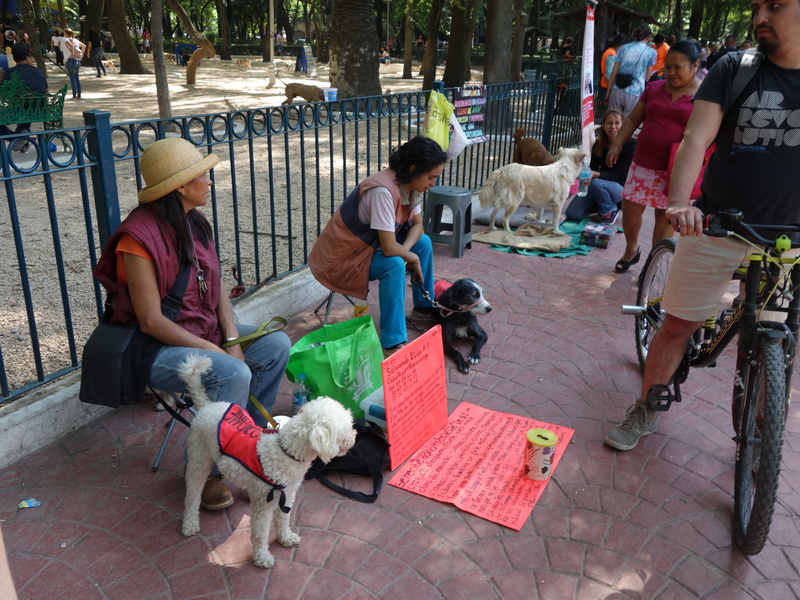 They had a project at the veterinary school of the University National Autonomous of Mexico (UNAM) and my job was to organize an ambulatory clinic service for them. My family spent a wonderful year here learning about Mexico, the language and the people, especially the people. The experience was transformational for me and, I believe, for my family. Since that time, I have not returned and the city is different, very different. When we were here previously there were about eight million people living in Mexico City, estimates now are roughly thirty million. Much has changed, but after two full days here I believe the people are still the same. They are patient, and seem pleased that I’m trying while they struggle to understand my fracturing of their language, I don’t have the opportunity to practice much. 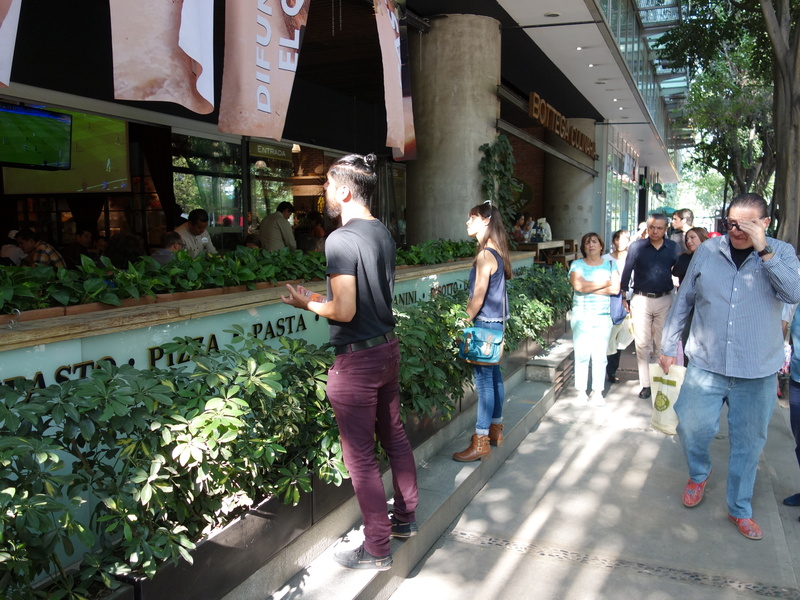 It’s not just the servers in the restaurants, it includes people on the street. When Alexis or I have a question about a building, or something that arouses her ever curious mind they take the time to respond, in detail. I do my best to translate. They love music and have a great sense of humor, laughing at any remark I make that they perceive is a jest. Even if my Spanish is all wrong they don’t correct me, I guess that would be rude. 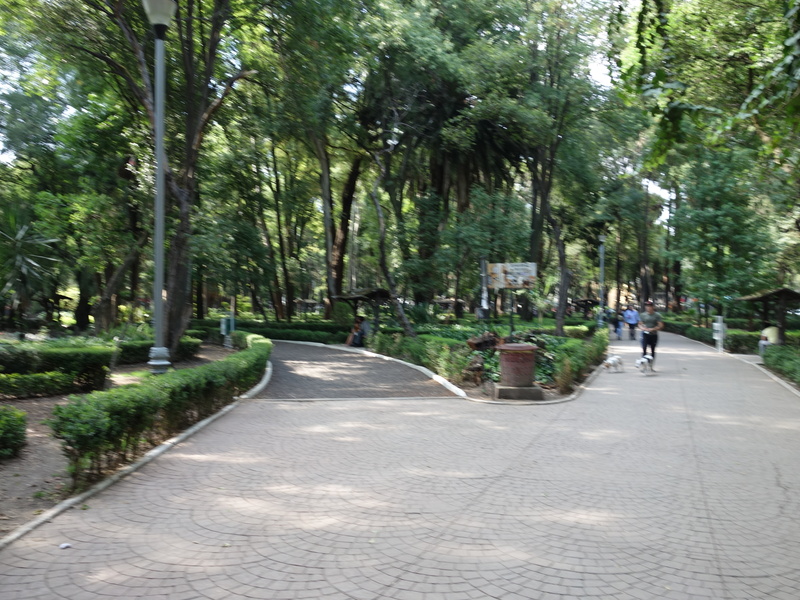 Yesterday we walked the short distance from our Airbnb apartment to Parque Mexico, a beautiful oasis in the Colonia Roma Norte neighborhood. 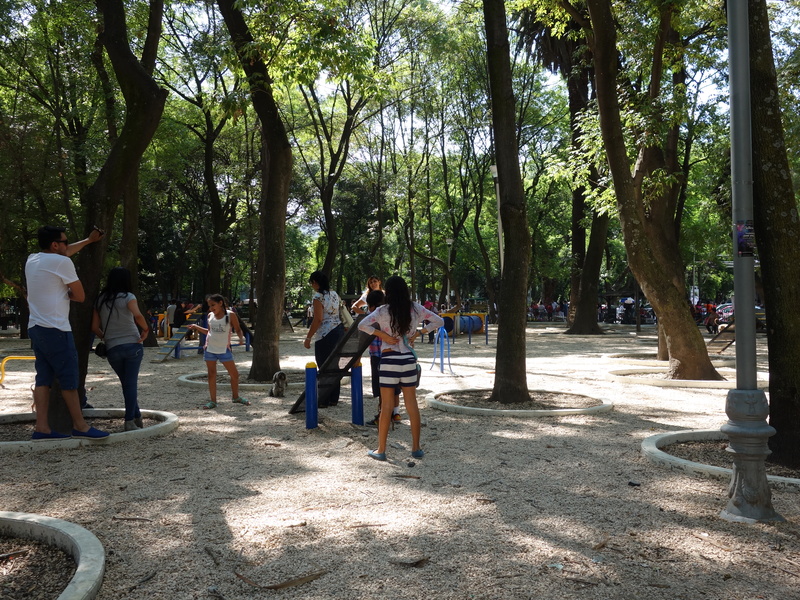 Here’s a photo of the park. In the middle of the park was an unexpected find, a well-maintained dog park of considerable size. On the east side of the dog park a least eight or ten different pet adoption organizations had set up with displays of dogs and cats available for adoption. Puppies and kittens are hard to ignore and a considerable crowd gathered. All were seeking donations as well as trying to find homes for the animals. We emptied the coin purse that Alexis keeps for the coins, ranging from ten pesos down, that we receive in change from our cash purchases, almost always food. Each morning I go to the bakery/restaurant around the corner from our apartment where I get our breakfast para ir (to go), two cafe’con leche (coffee with milk) and two freshly baked sweet rolls. Total cost 95 pesos (less than five bucks). Take that Starbucks! Some dogs waiting for homes. I did notice that many of the dogs running joyfully untethered in the dog park were intact males. We saw at least one female dog in heat, her owner doing everything he could to keep all the interested males at bay. We stopped for a glass of wine and an appetizer about five in the afternoon. Outside the extremely popular Trattoria across the street from the park, a young woman and a young man were singing opera arias, acapella, solo and duets, for tips. The woman went up onto her toes for the high notes. We gave them 50 pesos, about $2.50 for their remarkable performance. Most of the audience were passing over 20 peso notes, but one guy gave them a hundred. The currency is all different colors and easy to spot. Each day we leave the apartment walking in a different direction, exploring the neighborhood. We have seen only one homeless person, so far. I expect they are to be found in the poorer sections of town, but maybe not. Perhaps they are taken care of, somehow. That will be my question for today’s walkabout.